An alleged PKK attack on a security checkpoint in Cukurca, Turkey has left five soldiers dead and another eight wounded. 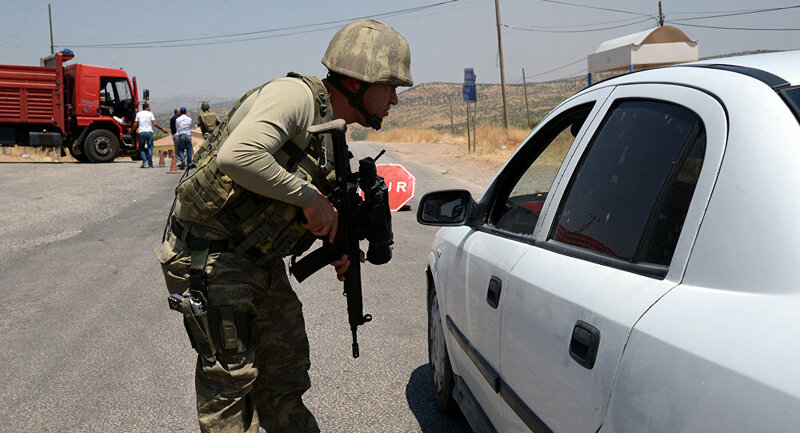 The incident occurred in the southeastern province of Hakkari, along the Iraqi border. The attackers reportedly used long-barreled weapons, and fired on the soldiers during an identity check along the Cukurca-Hakkari Highway. The soldiers were taken to a nearby hospital. Armored vehicles were deployed to the scene, with clashes between Turkish security and PKK forces reportedly still ongoing. Greece has seen a dramatic drop in the number of violations of its airspace by Turkish military aircraft since Tuesday’s downing of a Russian bomber over Syria, the Greek General Staff said on Saturday. On Tuesday, November 24, a Russian Su-24 bomber was shot down by an air-to-air missile fired by a Turkish F-16 fighter jet over Syrian territory and crashed four kilometers from the Turkish border. “On November 25 a squadron of six Turkish warplanes, two with arms on board, strayed into Greek airspace, but no such incidents have been registered ever since,” the Greek General Staff said in a statement.